This book provides a straightforward approach to explaining engineering economics that is appropriate for members of all of the major engineering disciplines. It includes real world engineering economic analysis examples, and provides the basic knowledge required for engineers to be able to perform engineering economic analyses for different potential alternative equipment, products, services, and projects in both the public and private sectors. It focuses on mastering the basic engineering economics formulas and their use on different types of engineering and construction projects, and includes numerous example problems and real world case studies. 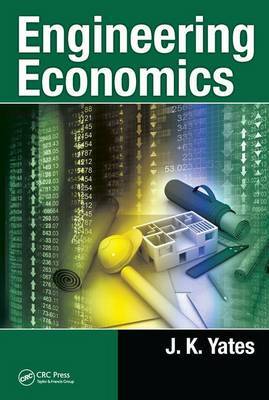 "Probably the best text available on engineering economics for construction education. Written in a very no-nonsense manner with a heavy emphasis on understanding the formulas and what they mean as opposed to just filling in the blanks." "This book covers relevant topics in engineering: the economics of decision making, and the cost of money over time. Every concept is fully explained and the rigor is incrementally incorporated to the text, so it is actually a pleasant book to read. This book will be of great interest not only to engineers but to other decision makers in the delivery of capital projects. It goes beyond the economic evaluation of projects, by providing a deep and clear explanation of associated topics such as taxes and accounting."